. كما يقدم Roydon Beachfront Apartments الكثير من الخدمات لإغناء رحلتك في كيرنز. هذه بعض الخدمات الموجودة في هذا الفندق: واي فاي مجاني في جميع الغرف, واي فاي في المناطق العامة, صف السيارات, التوصيل من وإلى المطار, رعاية أطفال. تعكس غرف الفندق البالغ عددها 20 المنتشرة في 4 طوابق جواً من الدفء والألفة.خدمات عصرية مثل تلفزيون بشاشة مسطحة, اتصال لاسلكي بشبكة الإنترنت (مجاني), حوض الاسترخاء, غرف لغير المدخنين, مكيف هواء موجودة في بعض الغرف المختارة. يمكنك طلب اللائحة الكاملة للخدمات في الفندق ومن بينها حوض استحمام ساخن, حمام سباحة خارجي, تدليك, حديقة. مهما كانت دواعي سفرك فإن Roydon Beachfront Apartments هو خيار ممتاز لإقامتك في كيرنز. The appartments are huge and next to the beach. Excellent value for money. We booked 1bedroom apartment but were given a 2bedroom+ 2 bathroom one. It was more than what was expected. The best of the best. The beach at the front is so lovely for a sunset walk, even better than 4 miles beach. Would definitely come back! Apartments stays in a good location with a beautiful beach, the room is extremely big and comfortable. 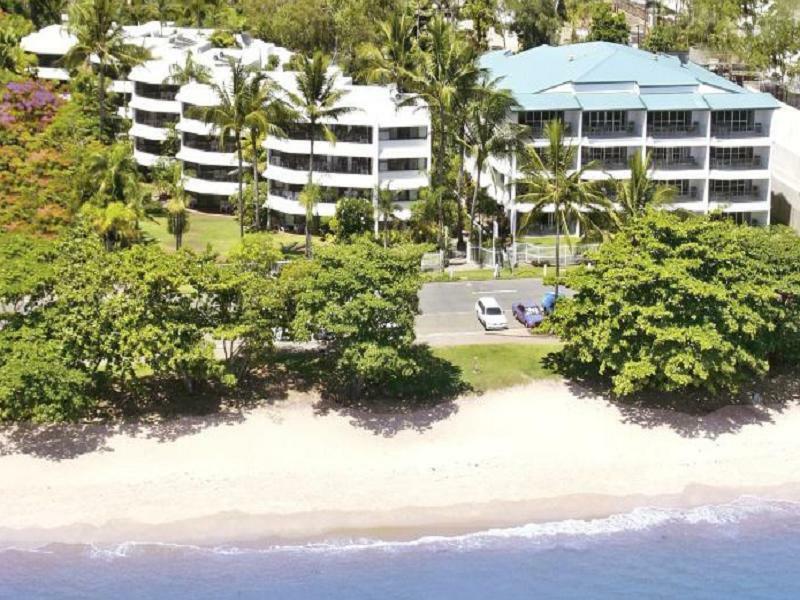 The apartment is staying in a good location in trinity beach. But it is really a bit far away from the city center if you take a drive with 20 mins or a bus with 45 mins. For outdoor activities lover, lots of activities will have an additional charge for pick up at our stay. And a little bit dispointed on the hygienic problem with the chair in the our TV lounge is smelly and not clean. For overall, the staying experience is good and enjoyable. Fantastic. We enjoyed everything about our stay. The hosts were friendly, most helpful with tours and they have thought about all the little things so you don't have to. We have a larger family with three children. It is often difficult to find suitable accommodation, but the Royden Apartments were perfect for our needs. We would recommend them to anyone and would definitely return. Staff was friendly, location was good. Suitable for family stay. It's good value, apartment is old but clean, large room a and bathroom, my booking was not ocean view room but has little bit ocean view, great for the family. Due to the garden, has some inserts, ants at night time, so we did not cook, but it's very close to the restaurants. The swimming pool is nice and warm. Anyway it's a pleasant stay. Our stay was great and will definitely stay there again. Service was good and everyone was friendly and helpful. There were a variety of quality restaurants in the area and reasonably priced. In the event you want to cook yourself, there are enough kitchen utensils to cook for an army. Great place! the owner is a nice man helping us anytime we needed help ,and help us to arrange short tours. the wifi is also good to help us communicated with outside world. the apartment is big and nice with all sorts of kitchen tools. will come back one day, for sure.